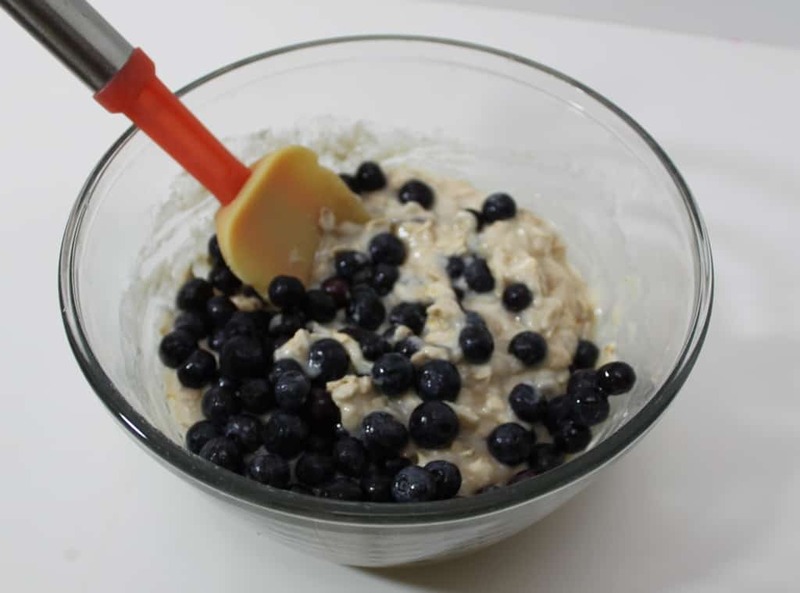 These Blueberry Oatmeal Muffins first appeared on my blog more than four years ago back in 2012. They are still a family favorite so I thought it was time to share it again and also update the photos a bit! 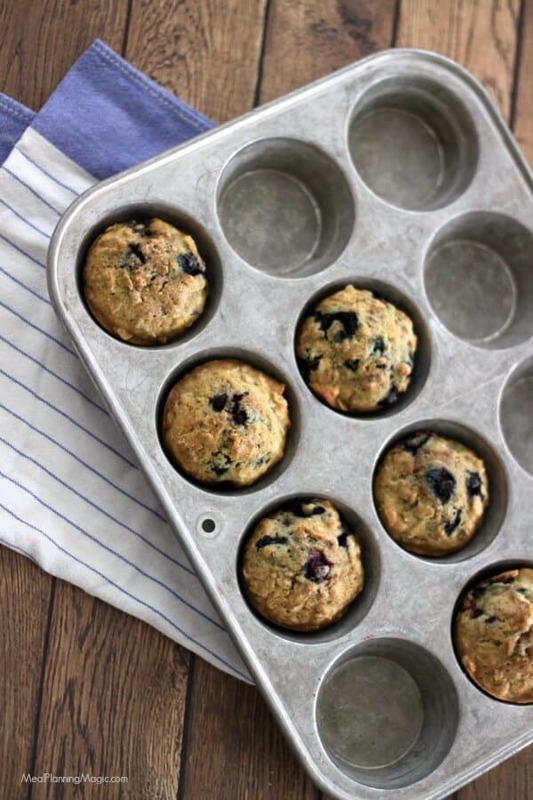 Whenever I make these muffins, they never last too long! If I can, I’ll sometimes sneak a few into the freezer so we can have them ready to warm up in the microwave on busy weekday mornings. 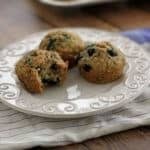 I’ve been making these muffins for over a decade. 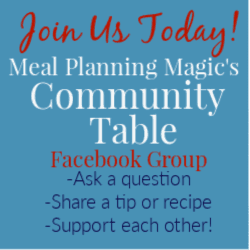 I originally found the recipe in Taste of Home’s Healthy Cooking magazine (which sadly, is no longer published) but have altered it slightly fromt he original recipe. 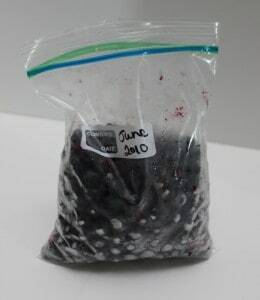 We like to go blueberry picking every summer at a local blueberry farm to stock up on the berries so I always seem to have some on hand. You can also buy them frozen at your grocery store or for a pretty good price at a wholesale club. Costco has organic frozen blueberries too! I store the picked blueberries in bags and label. You can see I’ve had these for awhile–we pick A LOT! When I originally posted this recipe, my daughter had been BEGGING for the box variety. So to prove a point I bought and made that box variety. Then kept the box. And the next week I made these. And pulled out the recipe. I asked her to first read the ingredients from the box. There were several that she could not pronounce. Then she read the homemade version’s recipe. Every ingredient pronounceable and recognizable. “Hmmm…what do you think of that?” I asked. Then I could see it in her eyes, the light bulb go on and she said, “Ok, Mom, now I see why you like the homemade version.” Yep, point made. 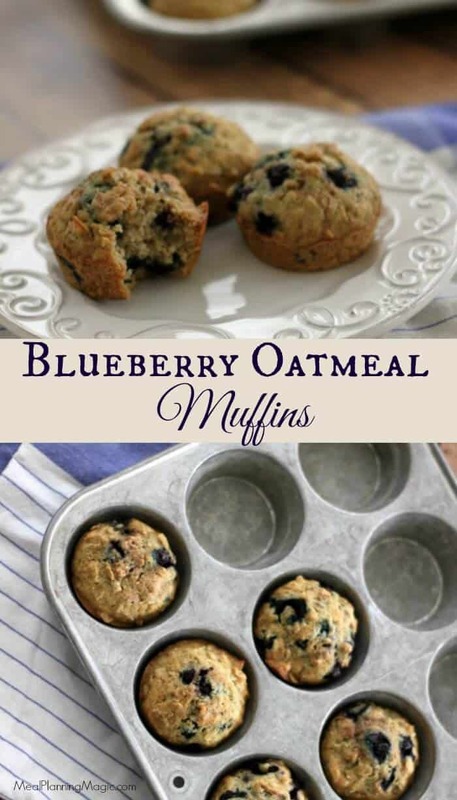 These Blueberry Oatmeal Muffins really are so easy to make up that they’re not that much more work than the boxed mix variety and they are SO much better for you. I hope you’ll give them a try! 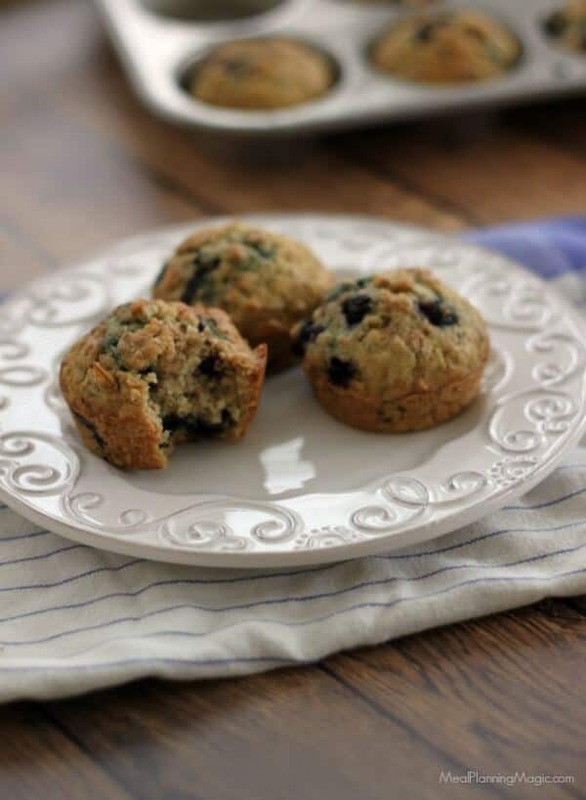 Tasty and simple, this healthy blueberry oatmeal muffin is perfect for breakfast or a snack any time of the day! Preheat oven to 400°. Spray muffin tin with cooking spray or line with paper muffin cups. In a large bowl, combine the first six ingredients, flour through salt. In another bowl, beat egg whites, water and oil. Stir liquid mixture into dry ingredients just until moistened. Fill prepared muffin tin cups 3/4 full with muffin batter. Bake at 400° for 18-22 minutes or until a toothpick comes out clean. Comparison of the box mix variety vs. easy to read from scratch version ingredients. 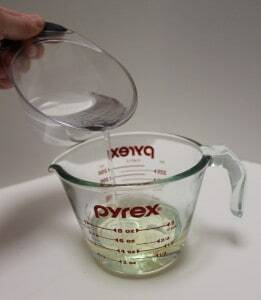 I measure my oil first and then add the water into one measuring cup. Since their weird fractions I use two cups but really only get one dirty. Don’t those nice big berries look SO yummy? 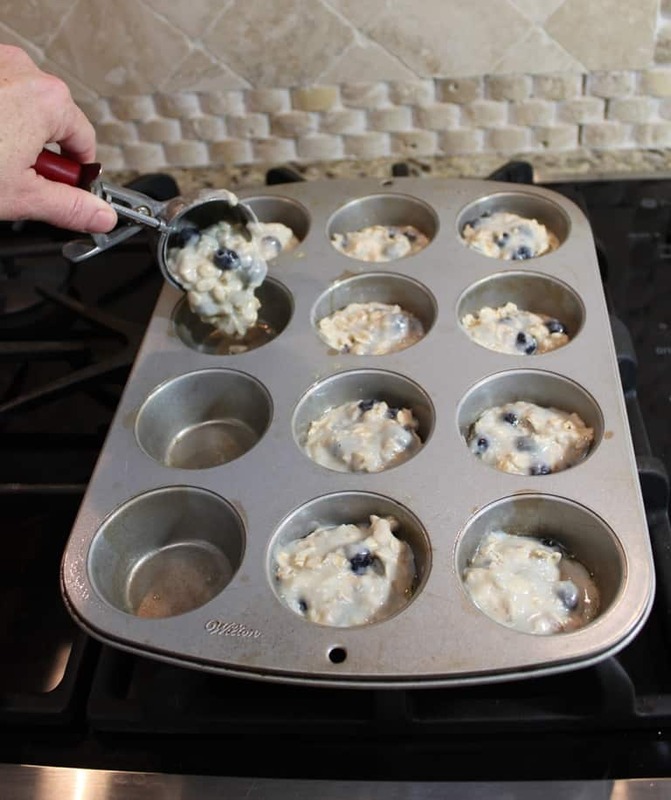 I use and ice cream scoop to scoop the batter into the muffin tin. 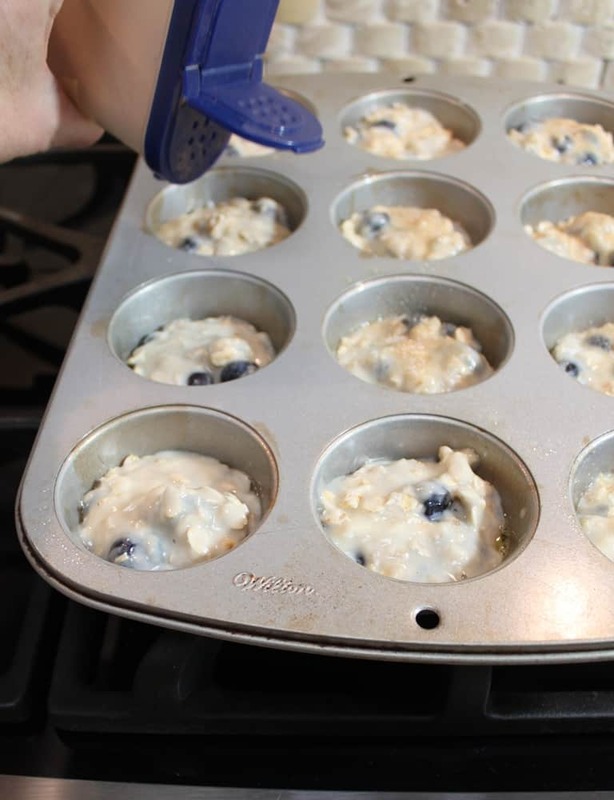 Easy, not messy and even distribution for better baking. I keep the cinnamon sugar mixture ready in a spice container so it’s easy to sprinkle on to all kinds of things. Although I mainly just use it for this! These are light and delicious! Sometimes I do half whole wheat flour too. Why don’t you give them a try yourself?